Our malware experts working at our internal labs have discovered a newly crafted malware that is roaming the web nowadays. It goes by the name of Yyto Ransomware. If you are not familiar with applications of this category, you must know that programs such as this can lock vast amount of data on the affected computer. In most cases, ransomware programs are crafted by cyber crooks for a single reason - to make illegal profits by demanding huge ransoms from unsuspecting Internet users. To have a better understanding of the technical inner workings of this malicious application, make sure to read the rest of our report. In addition to that, we provide informative tips regarding virtual security, which will help you avoid any suspicious and malicious programs at all times. Finally, we present a detailed removal guide that you should use to terminate Yyto Ransomware in a quick and easy manner. The basic functionality of Yyto Ransomware is quite conventional. 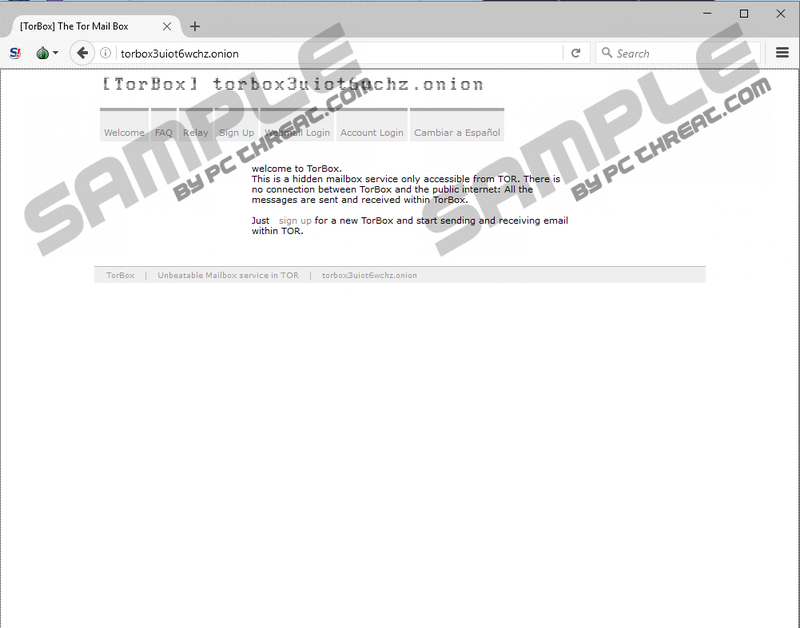 During our investigation, it has been discovered that this malicious program starts doing its dirty working as soon as it successfully enters your operating system. Firstly, it will scan your entire hard drive for its contents. Unfortunately, the encryption procedure is completely silent, meaning that users with no advanced computer knowledge will not be able to notice and stop this malicious application in action. Further analysis has revealed that this ransomware uses a powerful algorithm to lock each file called AES. Due to the strength of this cipher, there is no way to decrypt your data manually. Each locked file will be tagged with a .read_to_txt_file.yyto extension. Like quite a few other devious programs of this category this one affects a large variety of file types such as .pdf, .doc, .docx, .txt, .jpg, .png, .mp3, .mp4, .rar, and quite a few others. As soon as your data is encrypted a ransom note in the form of .txt will be dropped. It will provide instructions on how you can regain access to your files. While carrying out demands of cyber crooks might seem like a way to solve your problems, you must know that there is no guarantee that you will actually get your data decrypted. That is so because creators of this malware are not obliged in any kind of way to actually do that even if you follow through the suspicious and potentially dangerous demands. It should be obvious that a complete removal of Yyto Ransomware is critical. Execute it by following the instructions that we present below. If you wish to have a fully secure operating system at all times, you must take steps to improve your overall virtual security. Firstly, you must start practicing safe browsing habits since programs such as Yyto Ransomware are often spread in devious ways. We highly advise you to avoid all e-mail attachments that are sent to you by questionable third-parties. This is crucial because in the majority of cases ransomware programs are spread using spam e-mail campaigns. Additionally, we urge you to refrain from all unauthorized third-party download websites. This is imperative because such web pages are infamous for being the primary source of bundled installers, which are often used by malware developers to spread their questionable and malicious programs. Furthermore, you should be aware of the fact that cyber crooks tend to use misleading marketing techniques to lure unsuspecting Internet users into downloading their devious program without understanding how it works. Thus, we advise you to always learn as much as possible about any program before even downloading it. Last, but not least, make sure to install a professional antimalware tool if you do not have one already. A tool like that is the most important part of your virtual security because it can detect and delete any virtual threat automatically. The complete removal of Yyto Ransomware should be executed as soon as it is found active on your PC. Below we provide a detailed removal guide that you should use. It is important to note that the whole procedure consists of multiple steps. Each one must be executed with care; otherwise, you might be forced to face consequences of an incomplete incomplete removal. Once you are done with the instructions that we provide below, make sure to check your operating system for traces associated with Yyto Ransomware. This is important since its traces might be able to trigger its restoration. 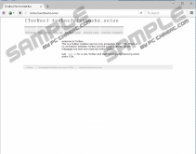 Make sure to analyze your PC for leftovers of this malware as soon as you are done with the manual removal. Select a malicious process and click End Process. Keep in mind that the name of this process is random. Quick & tested solution for Yyto Ransomware removal.